President Obama’s recent explanation for militarily engaging Libya is yet another example of how U.S. leaders increasingly rationalize their policies via sentimental and idealistic platitudes, rather than reality or the long view—or just plain common sense. In a speech replete with moralizing intonations, Obama did manage to evoke U.S. “interests”—six times—though he never explained what these are. 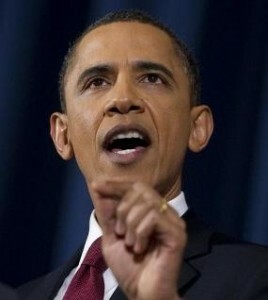 Instead, we were admonished about “our responsibilities to our fellow human beings” and how not assisting them “would have been a betrayal of who we are.” Further, by juxtaposing America’s “interests” with its “values”—Obama did so twice in his Libya speech—indicates that he may see the two as near synonymous, though they certainly are not. The closest thing to a fuzzy “interest” that Obama posited is the need to contain Libyan rebels from fleeing to and disrupting nearby nations, such as Egypt, a country of “democratic impulses” where “change will inspire us and raise hopes”—so an overly optimistic Obama observed. While there certainly are liberal, secular elements in Egypt’s revolution, increasing evidence—from an Islamist-inclined military that opens fire on its Christian minority, to the recent referendum which serves the Muslim Brotherhood—indicates that, left to itself, Egypt is poised to look more like Iran than America. As for Libya’s nebulous opposition, even before Obama decided to support them, the Washington Post had reported that “the administration knows little about Libya’s well-armed rebels, [and] cannot predict the political system that might replace Qaddafi’s bizarre rule.” More recent evidence indicates that the U.S. is arming the same jihadists who four years earlier were trying to kill Americans in Iraq. 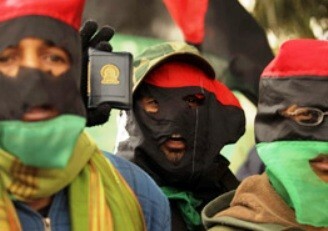 Eastern Libya [Benghazi], where the anti-Qaddafi forces are based, is a hotbed of anti-Americanism and jihadist sentiment. A report by West Point’s Combating Terrorism Center reveals that during the last few years, more jihadists per capita entered Iraq from Libya than from any other Muslim country—and most of them came from the region that is now spearheading the revolt against Qaddafi. Perhaps Obama simply sees the rebels as “freedom-fighters”—as a recent Examiner headline phrases it: “U.S. supports Al Qaeda ‘freedom fighters’ against Qaddafi in Libyan civil war.” If so, it is well to reflect that the U.S. has been down this road before, when it supported Afghanistan’s “freedom-fighting” mujahidin against the Soviet Union in the 1980s, only for Afghanistan to become a terrorist haven and al-Qaeda’s headquarters, where the strikes of 9/11 were devised. Conversely, in Obama’s Libyan adventure, we know for a fact that Islamist forces are involved; we know for a fact what happens when Islamists assume power—whether the mullahs in Iran, Hamas in the PA, or the Taliban in Afghanistan: they become anti-American, terrorist breeding grounds. Finally, as Obama explained it, no U.S. interests are being served either which way. Indeed, even Obama’s humanitarian argument for Libyan intervention is full of holes: if the opposition overthrows Qaddafi, it will likely be they, the opposition, who inflict a bloodbath on their countrymen—the usual denouement of intertribal warfare. In this context, whereas U.S. intervention will have saved the lives of eastern Libyans, it will be seen as complicit in the killing of western Libyans—and, as usual, used as fodder to incite further anti-Americanism in the region. Further, Obama’s point that, though many people around the world are being oppressed by their governments, “that cannot be an argument for never acting on behalf of what’s right,” also raises questions: Of all the current global conflicts where innocents are being massacred, couldn’t the administration at least narrow it down to helping one of the many groups that does not have al-Qaeda ties and was not fighting Americans in Iraq? In sum, as he explained it, not only does Obama’s decision to intervene militarily in Libya not serve any tangible American interests; it may directly serve the interests of the Islamist enemy. More ironic, the humanitarian argument is full of holes. One is left hoping that, for strategic purposes, Obama is not being fully transparent, but does have concrete U.S. interests in mind—which, of course, is exactly how practically every Arab interprets U.S. intervention. Hence, the final irony: While Obama’s fine platitudes to justify war may satisfy some Americans, they are far from achieving their objective: winning over the much coveted Arab “hearts-and-minds,” two quantities that—as evinced from the Arabic media to the Arab street—are thoroughly cynical, and thus reject the notion that nations ever militarily intervene out of sheer altruism.